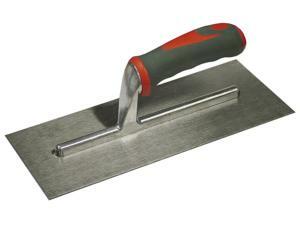 Faithfull Plasterers Trowel 11" x 4.3/4"
A high quality plasterers finishing trowel. The blade is manufactured from stainless steel and is suitable for use with all types of plaster. Fitted with a comfortable soft-grip handle to help reduce fatigue and offer excellent durability.